Chinese New Year is a season to eat and eat and eat and eat......... Well, I don't know about you but Chinese New Year is the time for me to enjoy lots of snacks and delicacies. 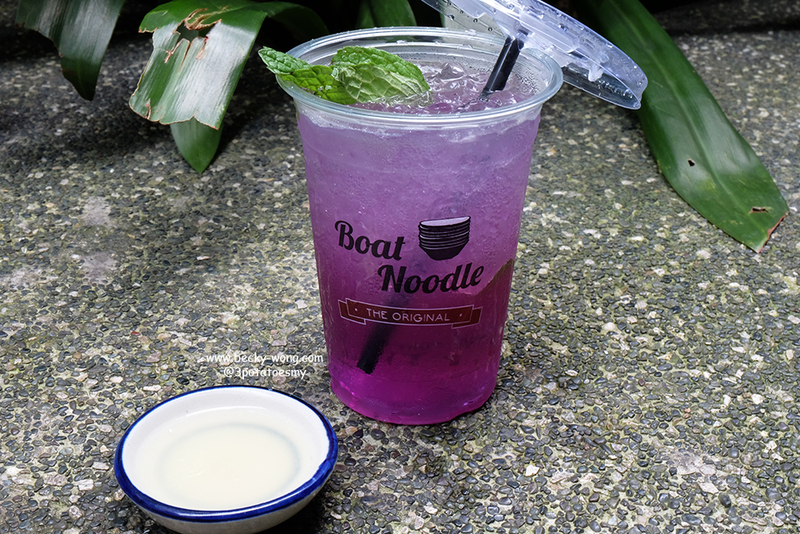 As if my makan list is not already long enough, I've recently added Boat Noodle onto my list! 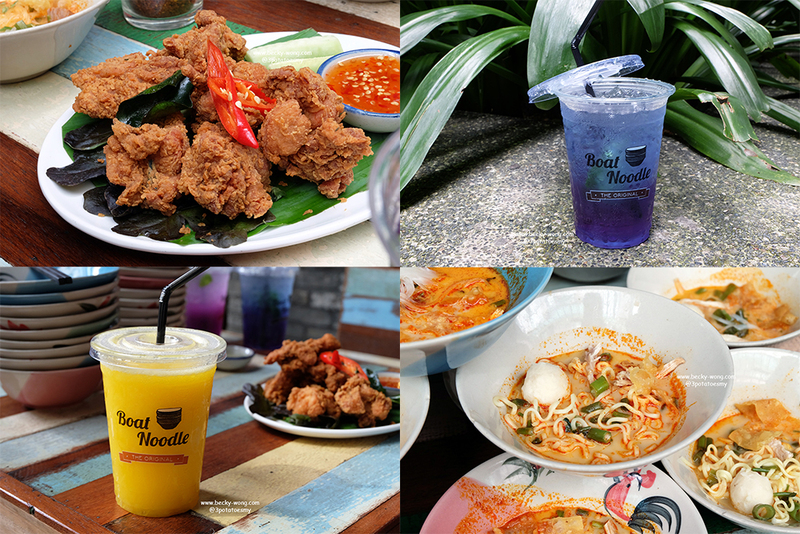 In conjunction with Chinese New Year, Boat Noodle has introduced some new dishes. 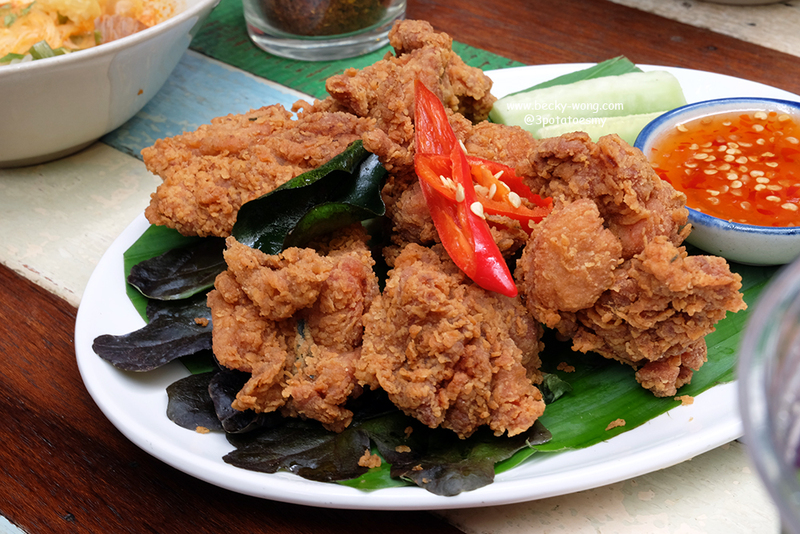 Thai Fried Chicken (RM 12.90). I'm not usually a fan of fried chicken (yes, I am THAT weird), but the juiciness of this Thai Fried Chicken actually made me ordered it again on my second visit to Boat Noodle. The chicken is so well-marinated, and the crispy skin is just irresistible. Prosperity Yum - Beef/Chicken (RM 1.99/bowl). A new addition to their menu, Prosperity Yum is actually tom yum soup. 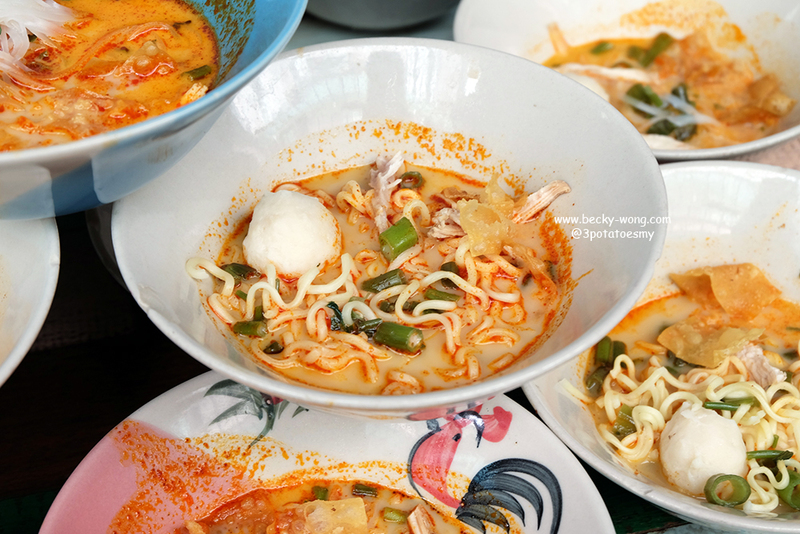 If you love spicy food, you might find the tom yum doesn't really pack with heat, but you can always add the condiments to spice up your bowl of noodles. Also, you can choose to have it with springy noodles or Thai rice noodles. Blue Butterfly (RM 5.50). 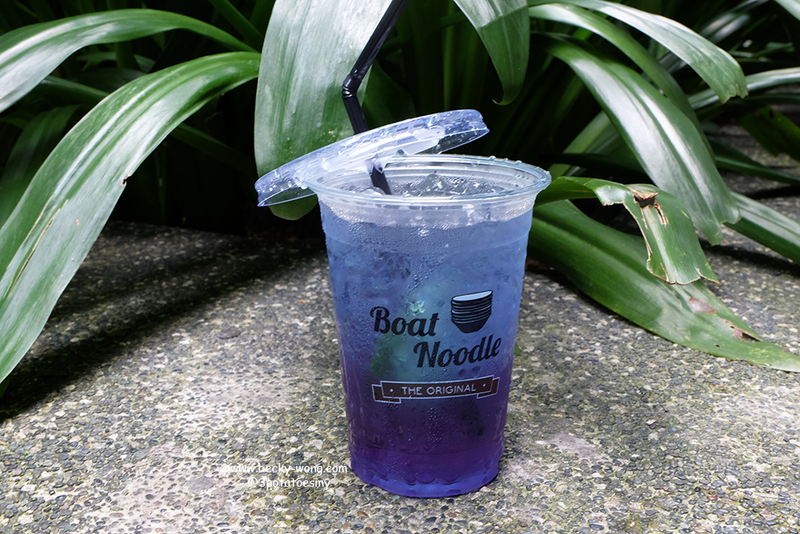 Drinks made from blue pea flower seems to be quite a hit recently. I really like the purplish-blue colour of the drink. After mixing with lemon juice, it turns into a beautiful purple colour! Not only it is very Instagrammable, it is actually a very refreshing drink to have. Mango Smoothie (RM 5.50). Looking for something on the sweeter side, the icy Mango Smoothie might be just for you. Apart from Chinese restaurants and cafes, Boat Noodle is actually a nice place to have gatherings with friends. Nothing too formal, plus their pricing is really reasonable. Oh ya, their Chinese New Year special dishes will only be available till end of February. So hurry up before you missed it! 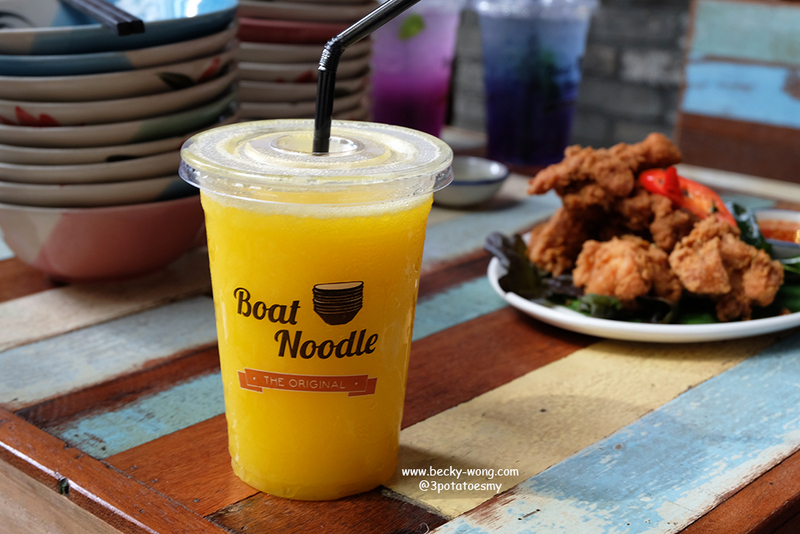 To know more updates about Boat Noodle, check out their Facebook and Instagram.